Home » Student Destinations » Witnessing History in Washington, D.C.
With President’s Day here and election season heating up, our attention turns to the White House. In less than a year, the newly elected president will take the oath of office as millions flock to Washington, D.C. to join in the festivities. The inauguration is a once-in-a-lifetime opportunity for students to experience some of our nation’s most famous sites while history unfolds before their eyes. 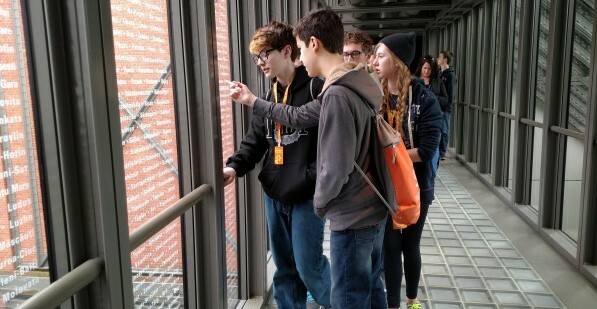 While middle and high school tours of Washington D.C. are a national staple, Brightspark is innovating the typical capital tour by placing students in history itself. They will learn about the beauty of American civics, meet fellow students from across the nation and witness a paradigm shift for our country­-all in one long weekend. Tours can have a focus on education or performance, and students can understand their power in the American political system in addition to exploring the city. Groups will arrive on Wednesday, January 18 and be accommodated in a high-quality, vetted hotel located near all the sites of the city. Breakfast and often dinner will be served on-site, and lunch will be served at various locations during the trip. On the second day, performing arts groups will participate in the 2017 Inauguration Festival & Competition against concert and jazz bands from across the country. Meanwhile, education groups will participate in the “Art of Advocacy Workshop,” which introduces students to the tactics and functions behind advocacy and persuasion. Moderated by George Washington University Professor Paul Hayes, the workshop challenges groups to develop their tools for argumentation and discussion, for politics or otherwise. Later that day, groups can visit Ford’s Theatre, where stage actor John Wilkes Booth assassinated Abraham Lincoln in 1865, and explore landmarks on the National Mall such as the Washington Monument and Martin Luther King, Jr. Memorial. That evening, students can feel like the president themselves when they attend an inaugural gala at Foxchase Manor. Attendees put on their finest attire as they enjoy dinner and dancing during an awards ceremony in the elegant Jeffersonian manor. On day three, school groups will be able to witness the festivities of the inauguration. The highlight of the day is, of course, the president being sworn in on the steps of the U.S. Capitol, but Brightspark also shows group members the activities before and after. The president-elect first leads a procession down Pennsylvania Avenue and past the White House before beginning the official ceremony, allowing plenty of photo-ops of the motorcade. Qualifying students on a performing arts trip can march in the parade itself and pass by millions of spectators on the way to the Capitol. While the presidential family celebrates that evening, your group will enjoy a pizza party in the hotel to cap off an exciting day. Your group’s final day begins at Arlington National Cemetery. Highlights include the USS Maine Mast Memorial, John F. Kennedy Eternal Flame and Tomb of the Unknowns, where military guards solemnly switch shifts to guard the monument every hour. School groups then enjoy a tour of the U.S. Capitol, the domed structure that houses the U.S. Senate and U.S. House of Representatives. Here laws are made, policies are formed and foreign leaders visit to make speeches to the assembly. Your tour group will be ushered into the Capitol rotunda, the gallery at the heart of the building and home to some of the most famous art in the world. John Trumbull’s Declaration of Independence and Surrender of Lord Cornwallis paintings are here, as well as a copy of the Statue of Freedom that adorns the Capitol Dome. Tours also pass through original Senate chambers and National Statuary Hall, which features marble models of Samuel Adams, Rosa Parks, Robert E. Lee and many more. The final destination on your last day is the Smithsonian Buildings. Known as “America’s attic,” these 19 museums and research centers cover everything from natural history to technology to pop culture. At the American Art Museum, school groups can admire the work of over 7,000 painters, photographers and multimedia artists in addition to circulating galleries. Visitors at the National Air and Space Museum can experience the sensation of an F-18 in realistic flight simulators and explore the history of the U.S. space program in a building that houses the Spirit of St. Louis and the Apollo 11 Command Module Columbia. At the National Museum of American History, students can learn the history of telecommunications and rail travel while seeing everything from presidential suits to Dorothy’s ruby slippers from The Wizard of Oz. 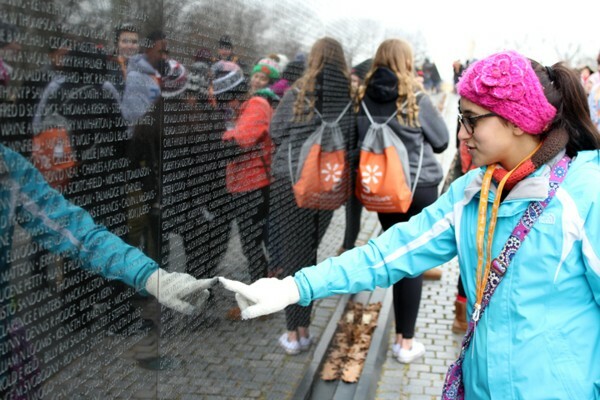 Brightspark’s approach to student group travel allows young men and women to explore what it means to be an American in addition to exploring the D.C. landmarks. With a history-making inauguration as a backdrop, the trips offer a truly once-in-a-lifetime opportunity and will surely enhance any school curriculum.